You may recall when I posted about flooding from high tide alone, even without storm surge or rainfall. It’s because of sea level rise. No doubt. It’s getting worse. No doubt. You can view it here, and you can view it below. There’s a new “pause” claim, but it’s not a pause in temperature, it’s a pause in the rate of CO2 growth. Not a pause in growth, of course, but a pause in the rate of growth. I’ve posted another YouTube video about global warming. I think it’s better paced, and I’ve improved the quality of the video. I’m still learning of course, but I think I’m getting better at this. And I think this is very important. You already know I regard the issue as important. I also agree with Neil deGrasse Tyson, that if we want a better government (everywhere, not just in the U.S.) we need a better-educated voting public. That’s why I’m working hard to give both readers and viewers the tools that will help them understand the choices we face and the consequences. 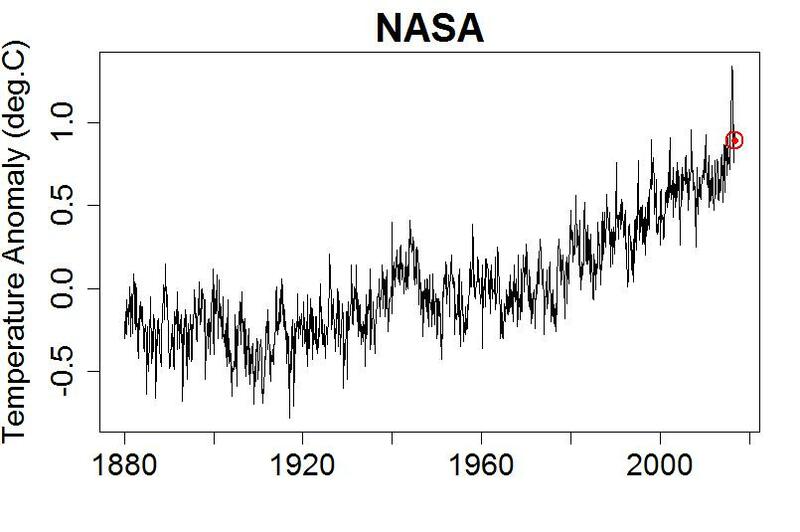 We got another comment from Sheldon Walker, in which he insists that there is a statistically significant slowdown in global temperature, using annual averages from NASA, starting in 2002 and ending in 2013. He provides numbers. You can read his comment here. Sheldon is mistaken. But I’ll give him credit for this: rather than call us “warmistas” and retreating to the safety of WUWT, he came here (the “lion’s den” for climate denial) and made his case using actual numbers. And he did so in the face of, well, not “blistering” attack, but certainly not an open-armed welcome. Show some respect. Furthermore, the mistakes he makes aren’t obvious. 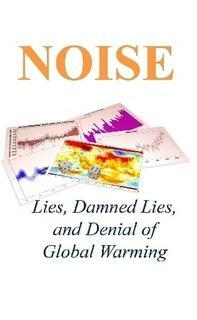 In fact, professionals make them, even in the context of global warming, even professionals who are not deniers. So, let’s see whether we can convince Sheldon Walker that he’s mistaken … using math. Our old friend Sheldon Walker showed up again, asking what it would take to convince me there was a “pause” (or “hiatus” or even “slowdown”). Evidently he didn’t like my assertion of the absence of a “pause” in my latest video. He ended by asking whether there’s no evidence I would ever accept — I think that was his way of planting the idea. If he had paid attention to this post, or read this paper, he’d already know the answer. What it would take is evidence that actually passes muster, statistically.